This summery blouse is perfect for when the hot weather comes in. This is a fine lightweight blouse with an elasticated rim and cuffs for maximum comfort. 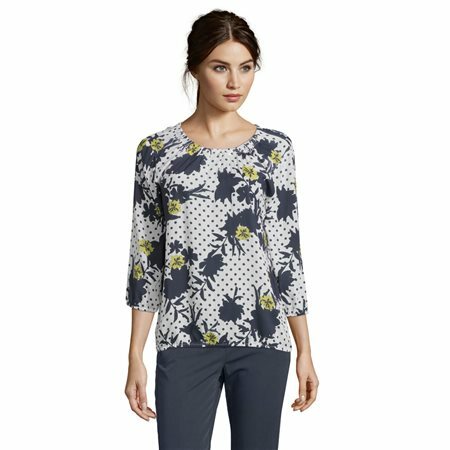 Betty Barclay have designed this blouse with a rounded neckline with added pearls and a beautiful floral print with a splash of colour.